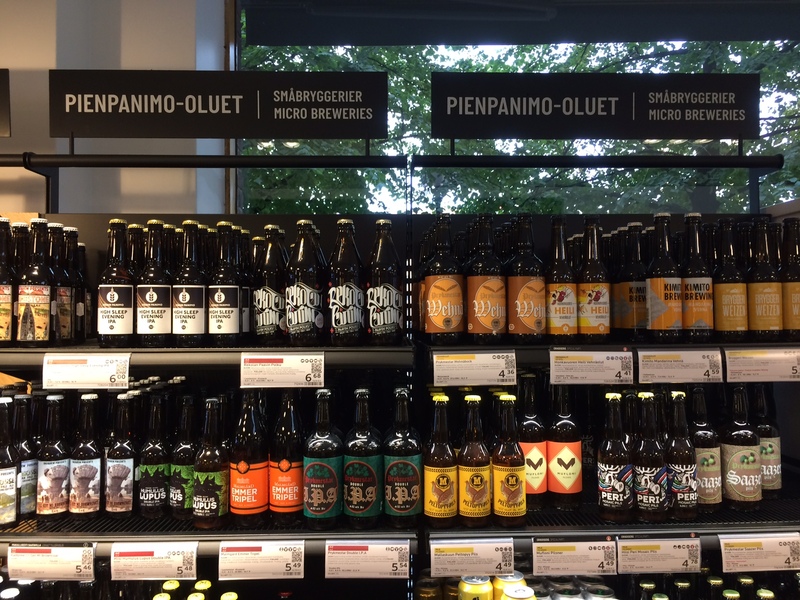 Helsinki -a beer scene that really has come of age. A few nights in Helsinki show a beer diversity you seldom find in Europe. The rest of the Nordic countries have been going through a beer boom over the last decade. So has Finland, and a weekend in Helsinki is an opportunity to enjoy a great spectrum of beer – and a range of pubs and bars that should offer something for everyone. Let’s start with the tourist trap. Just across the square from the central railway station you’ll find Zetor, a place I visited the last time I was in town. This is a huge place, decorated in what you could call a Finnish farm style, with tractors and other agricultural machinery prominently displayed. 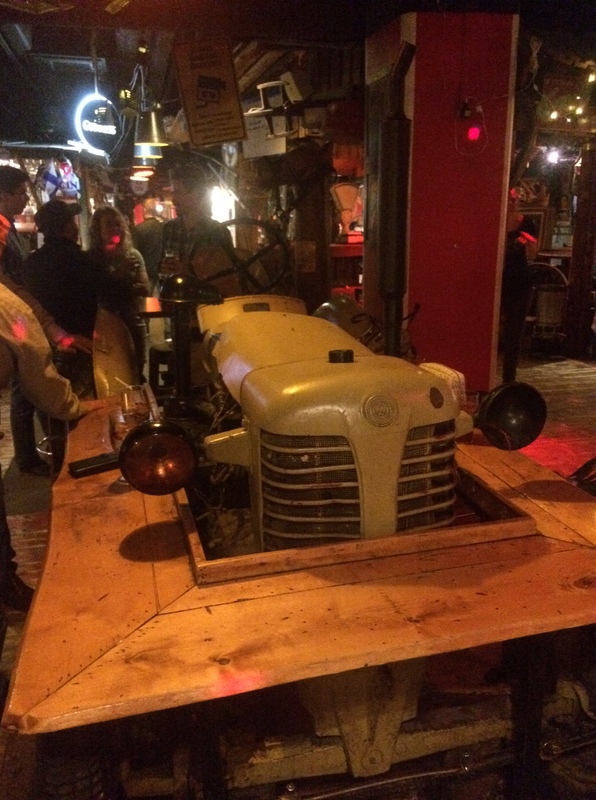 I have a feeling there were more tractors the first time I was here, but the puns on the menu still refer to Grandma’s countryside cooking, with domestic fish, meat and game as main ingredients. By all means, go there for a meal, but try to avoid the evening rush hour, as the kitchen might be very busy. But the main reason for a visit is to try the Lammin Sahti, Finlands contribution to this panet’s beer heritage. This farmhouse beer, brewed with juniper twigs, has made a revival. They used to pour it from a plastic jug kept in the fridge, now they have nice pewter tankards serving the beer. 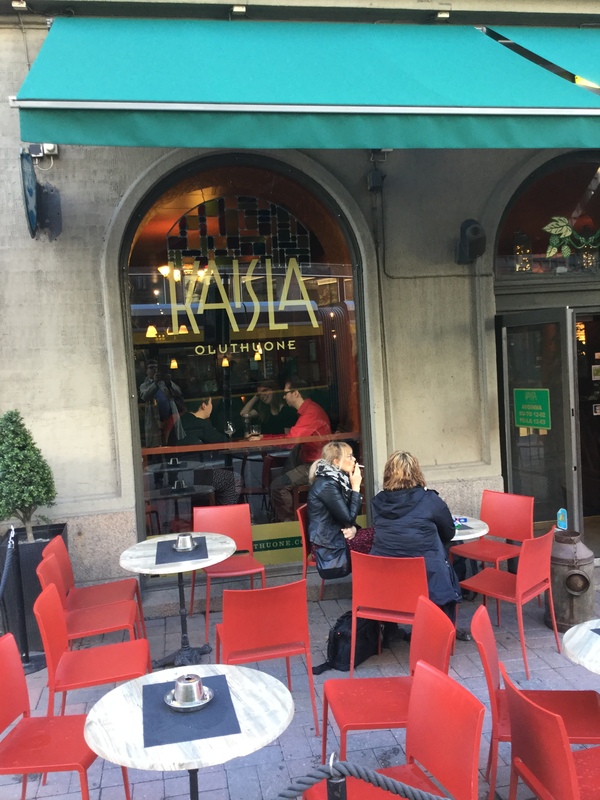 Also in the same central area is a quite large pub, Kajsla, that has been there for a number of years. Expect a dozen beers on tap plus large fridges prominently on display. You find craft beer from the big international names, small independent Finnish breweries, and one offs from the more established Finns. A few meters away, there are two more pubs worth a visit. 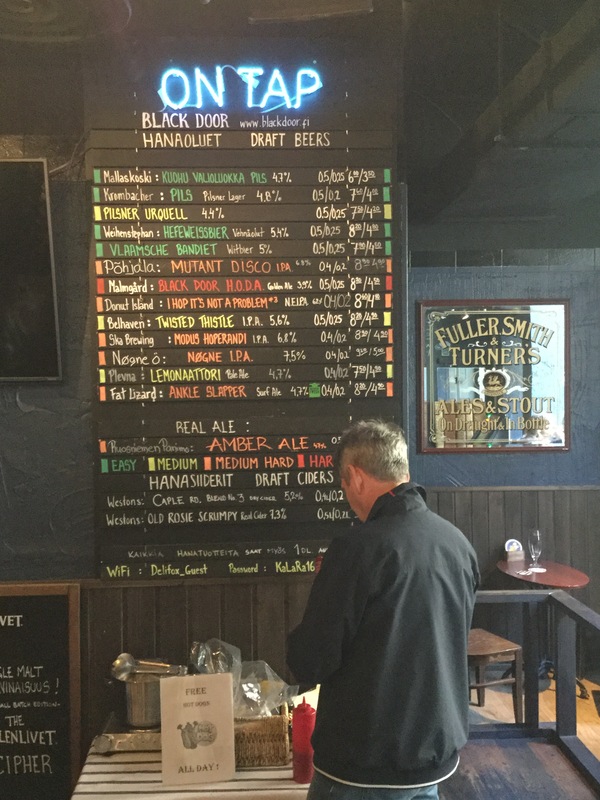 Black Door has the feel of an English pub, and they even have cask ale. A mixed crowd, good atmosphere, even free hot dogs if you get hungry. I had a NEIPA from the Donut Island brewery which I found a bit sweet for my liking, but there is plenty to shoose from here. 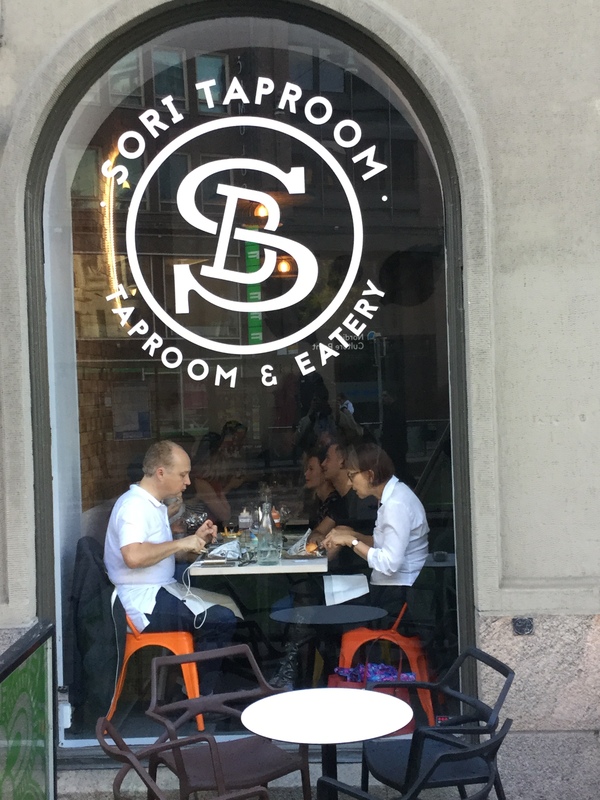 Next door is Sori Tap Room, an outlet for an Estoian brewery, serving their own beers as well as guests. 24 beers on tap. Bright and airy, with outside seating for sunny days, too. I tried their Farmhouse IPA, a very nice hybrid. Belgian yeasty funk, dry hopping adding grass aroma. A beer I could drink all night, it has both complexity and drinkability. For a staggering range of Finish micros (as well as all the imports you crave for), head for the government run Alko shop. Their Arkadia branch at Salomongatan 1 is the place where you consider buying an extra suitcase. If you want to get out of town, there are friendly pubs and bars scattered around the city. I enjoyed Ravintola Mulikka, a neighbourhood pub with a good selection of craft beers on tap, in bottles and cans. 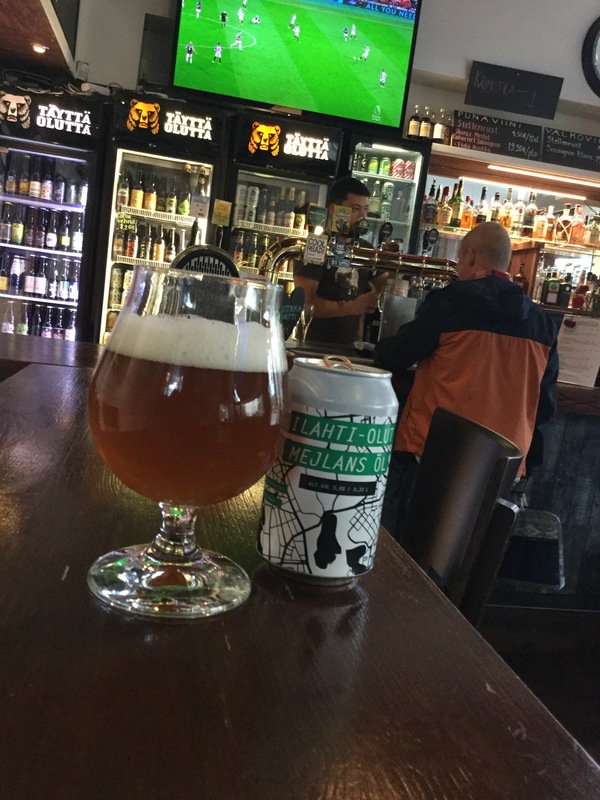 They have an APA brewed for them by Maku brewing – Mejlans Öl, which I can recommend. Take the tram along Mannerheimvägen if you don’t have the time to walk.